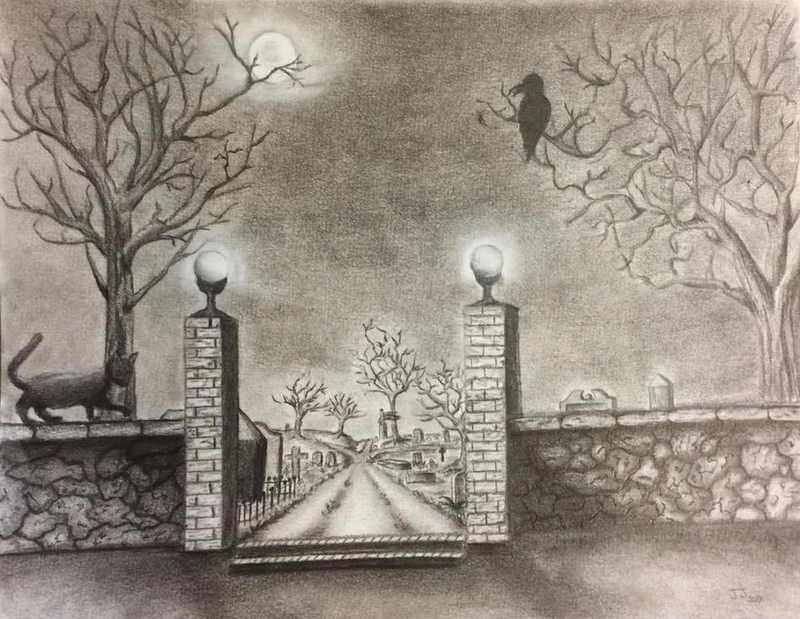 The Cemetery At Night is 11×14 on mixed media paper, drawn in black charcoal, white charcoal, and graphite pencil. Finding my darker niche. Let’s talk about authenticity.